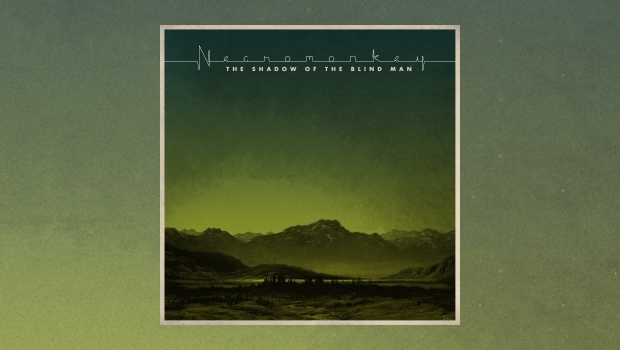 A year or so from their last full-length waxing, Show Me Where It Hertz, occasional noise terrorists Necromonkey are back twiddling knobs and hitting things in the name of auricular unsettlement with a short blast of cutting edge technofear by the name of The Shadow Of The Blind Man. Drummer Mattias Olsson, who by now must be tired of being referred to as “ex-(a certain Swedish prog band of some note)”, and Gösta Berlings Saga electro-wizard David Lundberg once again go for an envelope nudging and yes, enticing mixture of electro-prog and heavy dance music, using everything they can get their hands on at Röth Handle Studios, including the metaphorical kitchen sink. You will notice assistance given by a cast list of luminaries, with a few from the two Swedish “A” bands that between them were largely responsible for kick-starting modern prog in Scandinavia twenty and more years ago. This band and their near relations like to keep it in the family, and why not? 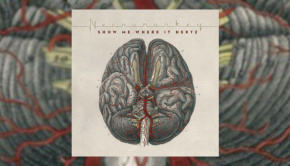 If you dig Necromonkey’s previous bursts of agitated simian electronica, then you’ll love this little taster for their fourth album, something I am anticipating with loose-limbed glee…pass me another banana.